“We’re getting Minnesota with it,” the narrator of this year’s Minnesota high school hockey all-hair team video says, as the camera cuts to a plate of spam, lutefisk, and a lefse, which is then placed on a vinyl copy of Purple Rain. It somehow only gets more Minnesota from there. 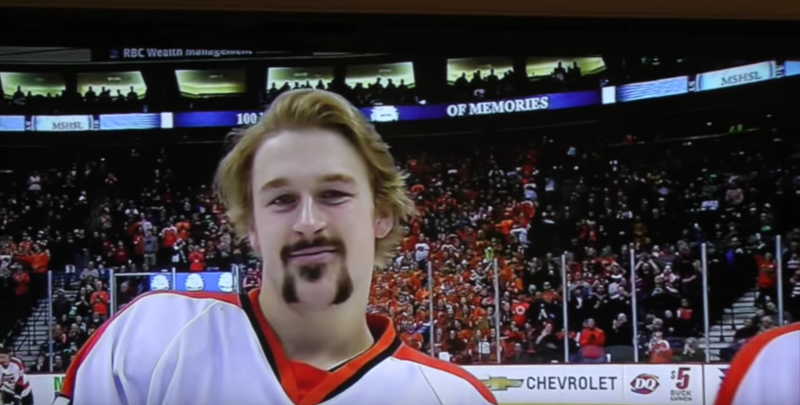 The analysis and ranking of the best hair from Minnesota’s state hockey has been going on for five years, and 2016's edition does not disappoint. Our hero got really ambitious with it, looping in Islanders winger Matt Martin and ESPN hockey guy Barry Melrose. Enjoy.